With so much talk about Google+ lately, it's only natural that business owners want in. They'll have to wait though. Google last week began field testing Google+ -- the search giant's new social networking utility -- on an “invitation-only" basis, and many entrepreneurs and business owners are chomping at the bit for an opportunity to create a business account on what many people think will be 'the next big thing' online. This enthusiasm is fueled by a desire among businesses and brands to get in on the ground floor of what some anticipate will be a serious competitor to Facebook Pages. Some fear being left behind if they don't act now. Still, for the time being at least, Google is discouraging businesses and brands from participating. The company behind the Internet's most popular search engine confirmed this week that small- and medium-sized business pages and profiles will be a major factor on Google+, but not now. At present, there is no specific timeframe on when the company will start offering business profiles, according to a Google spokeswoman. "Unfortunately," she said, "Google+ is not quite ready for businesses. But we're working quickly to provide a way for companies to engage with their customers." That said, Google did offer some solace to owners: Companies can now apply to become part of Google's test phase for its business pages. Check out Google's online application. And while businesses aren't currently prohibited from joining, Google+ isn't designed for such use just yet. Furthermore, persistent beta party crashers will just have to recreate their business profile once companies are allowed in. Google won't be able to transfer those profiles over. So for now at least, businesses owners should sit back and let the platform evolve. There's Circles, which enables Google+ members to sort their parents from their frat brothers, or business associates from surfing buddies. It takes everyone out of a “Friends-style" category, allowing you to be more specific in targeting the audience you want to hear your message. Then there's Sparks, which brings to your screen articles and videos and contacts about things that interest you — things like rock climbing or surfing or stamp collecting. This is also a social option that enables you to link up with others who share your interests. With Hangouts, you get on-screen gatherings with a few close friends or business contacts that can take on the appearance of sitting around a bar or meeting room. Just some face-to-face conversation that's really convenient because you didn't have to drive anywhere to participate. Going mobile on Google+ might offer smartphone users a lot of options, including adding an immediate location to every post, or instantly sending photos to friends or an online album. And then there's Huddle, which adds instant group messaging to your smartphone. Oh, and by the way, Google+ shouldn't be confused with Google +1. Google +1 is an experimental feature that enables those with a Google Profile to offer a personal endorsement of a product or service that they've tried themselves. It's shorthand for "Check this out" or "Trust me, this is cool." Google+ is a full-on social networking utility. 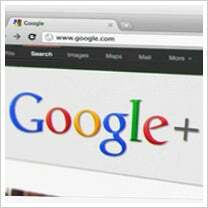 Will you use Google+ when it opens for business? Leave a comment and let us know.